Now that the new TV season has started I thought it would be interesting to take a look at where the 24 crew went after the series ended a few months ago. Fans that have watched the DVD bonus features probably know that the cast and crew were very close to each other, and that’s proven by this list – many of them chose to work together on future projects. Chip Johannessen became showrunner of Showtime’s hit series Dexter last December, and brought along some 24 crew with him including Manny Coto (writer and executive producer), director Milan Cheylov, costume designer Jim Lapidus, and the Emmy-winning David Latham (editor). One of his first orders of business was creating a new recurring character named FBI Agent Walker – nice! Also look out for Peter Weller (Christopher Henderson from Season 5) to show up soon as a recurring character. Lots of 24 folks went over to this show. Showrunner of Hawaii Five-0 on CBS is Peter Lenkov, who was a writer during 24 Season 4. Brad Turner is directing/co-executive producer and the crew also features Nicole Burke (first assistant director), Scott Remick (second assistant director), and Jeff Cadiente (stunt coordinator) with Stephen Kronish serving as a consultant. Jean Smart (24‘s Martha Logan) plays Governor Pat Jameson and Daniel Dae Kim (CTU’s Agent Baker, Season 2 & 3) plays a detective. I’m not usually a fan of procedurals, but this is a pretty good show that captures the 24 intensity. Evan Katz was hired by NBC as showrunner of “The Event”, a show which is heavily influenced by 24. 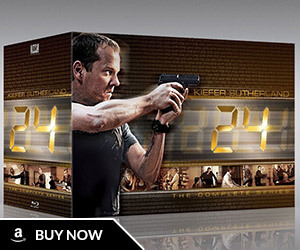 Many actors from 24 have popped up: Željko Ivanek (Andre Drazen, Season 1), Gonzalo Menendez (Pablo, Season 3), Bill Smitrovich (McLennan, Season 4), Tony Todd (Juma, Season 7), Ian Anthony Dale (Zhou, Season 6), Omid Abtahi (Season 4 & 7), D.B. Sweeney (Bledsoe, Season 8), with Necar Zadegan (Dalia Hassan, Season 8) being cast recently as well. The series has been picked up for a full season earlier this week and Milan Cheylov directed Monday’s episode. 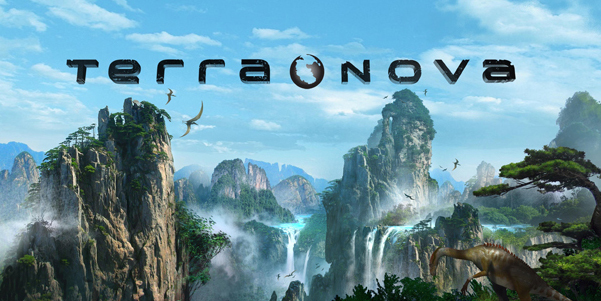 Steven Spielberg’s new series on FOX “Terra Nova” is being led by 24‘s Brannon Braga and directed by Jon Cassar. Former 24 production designers Joseph Hodges (seasons 1-7) and Carlos Barbosa (season 8) have joined the crew as well. Mido Hamada (Samir Mehran in Season 8) was just cast as a series regular on the show. While David Fury was originally attached as a writer/executive producer, he has recently quit citing “creative differences”. FOX has big plans for this series with insiders dubbing it “the next Lost” and it being given a huge budget – it’s looking to be the most expensive pilot ever made with estimates at 20 million dollars for the first episode. The show has a 13 episode order and will premiere next year. 24 series co-creator Joel Surnow teamed up with former 24 director and executive producer Jon Cassar on The Kennedy’s, a new eight hour miniseries for History Channel. 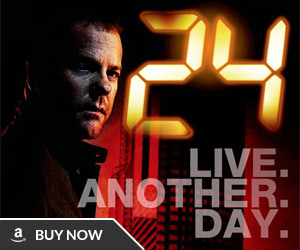 Stephen Kronish (24 writer and producer Seasons 3-7) wrote the screenplay and Sean Callery, the Emmy-winning composer of 24 will be scoring the music. It premieres early next year. 24 showrunner Howard Gordon is working on an adaptation of Israeli television show “Hahatufim” with fellow 24 writer and friend Alex Gansa. The working title is Homeland and has been picked up by Showtime with Ben Affleck interested in directing the pilot episode. Gordon has keeping busy with multiple other projects in the works. He wrote a thriller novel titled “The Obelisk” which is set for release on January 11, 2011. He’s also partnering with Glee‘s Ryan Murphy on a new series for FOX and is executive producing Legends, a drama pilot centered around a CIA Agent for NBC. Juan Carlos Coto is writing and producing CW’s Nikita which stars Xander Berkeley (George Mason). Annie Wersching (Renee Walker) is guest-starring on CSI on October 21st while Katee Sackhoff (Dana Walsh) will guest-star the following week. Mary Lynn Rajskub (Chloe O’Brian) will guest star on the hilarious ABC comedy Modern Family as Mitchell’s old high-school girlfriend. Janeane Garofalo (Janis Gold) will be a series regular on Criminal Minds: Suspect Behavior which premieres in January 2011. Anil Kapoor (Omar Hassan) is heading to the big-screen with a role in Mission Impossible 4. Stargate Universe has a number of 24 actors – Robert Carlyle (Benton in 24 Redemption), Lou Diamond Phillips, Carlo Rota (Morris O’Brian), Justin Louis (Danny Dessler), and Reiko Aylesworth (Michelle Dessler). Kiefer Sutherland wrapped on Lars Von Trier’s Melancholia film in September. James Morrison (Bill Buchanan) has recurring roles on Private Practice and HawthoRNe and has recently guest-starred in Law and Order Los Angeles and The Mentalist. It’s not all good news though – Jon Voight and Nazneen Contractor (Lone Star), Marisol Nichols (The Gates), and Carlos Bernard (Scoundrels) all had their shows cancelled recently. As for the 24 movie? Seems like it’s stuck in typical slow Hollywood process with people moving on to other projects in the meantime. Billy Ray who was the screenwriter of the 24 movie is now writing and directing a remake of “The Secret in Their Eyes” for Warner Bros. 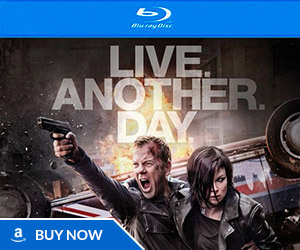 If Twentieth Century Fox were smart, they would fast track this movie while the Bourne and Bond franchises are in limbo: now is the perfect time for Jack Bauer to make his big-screen debut. You forgot Reiko Aylesworth (Michelle) who’s made a couple of guest appearances on Stargate Universe Seasons 1 & 2. Carlo Rota (Morris) was also on Stargate Universe Season 1. And Robert Carlyle (Carl Benton) is a series regular on Stargate Universe, just like the actor who’s played Danny Dessler in 24 Season 2. Lou Diamond Philips, who was in 24 Season 1, is also on Stargate Universe. Wade Williams (Robert Ellis, Season 1) — on the 10/20 episode of The Whole Truth on ABC. I just got alittle exited reading this line.. Jack Bauer to make his big-screen debut:) that will be the coolest movie ever!! Bauer will put Bond/Bourne and all the others to shame!!!! Kim Raver is on Grey’s Anatomy. Also — Kiefer Sutherland is starring on Broadway in That Championship Season opening for previews February 9th and running through May. Kiefer is also starring in The Confessions — a web series starting in March. Just worked with James Morrison on the film Finding Hope. Reiko Aylesworth has appeared on Hawaii 5.0 too, as a doctor who was romantically involved with “Chin Ho” in the past.